Harvard Divinity School is one of the constituent schools of Harvard University, located in Cambridge, Massachusetts, United States. As of June 2015[update], the school's mission is to train and educate its students either in the academic study of religion, or for the practice of a religious ministry or other public service vocation. It also caters to students from other Harvard schools that are interested in the former field. Harvard Divinity School is among a small group of university-based, non-denominational divinity schools in the United States (the others include the University of Chicago Divinity School, Yale Divinity School, Vanderbilt University Divinity School, Wake Forest University School of Divinity, and Claremont Graduate University-School of Religion. ✪ Welcome, new HDS students! During its first century, Harvard Divinity School was unofficially associated with American Unitarianism. However, it also retains a historical tie to one of the successor denominations of American Congregationalism, the United Church of Christ. When the Hollis Professor of Divinity David Tappan died in 1803 and the president of Harvard Joseph Willard died a year later, in 1804, the overseer of the college Jedidiah Morse demanded that orthodox men be elected. Today, students and faculty come from a variety of religious backgrounds: Christian (all denominations), Jewish, Muslim, Hindu, Buddhist, Sikh, etc. Its academic programs attempt to balance theology and religious studies—that is, the "believer's" perspective on religion with the "secular" perspective on religion. This is in contrast to many other divinity schools where one or the other is given primacy (Yale Divinity School, for example, emphasizes its theological program, while the majority of students at the University of Chicago Divinity School enroll in its "religious studies" Master of Arts program). In addition to candidates for the above, many Harvard graduate students pursuing PhDs in the study of religion work closely with Divinity School faculty. These students are formally affiliated with the Committee on the Study of Religion which is made up of 50% Arts and Sciences and 50% Divinity faculty members and housed in the Faculty of Arts and Sciences. The building that houses the Center was designed by Josep Lluís Sert. Andover-Harvard Theological Library was founded in 1836 and underwent expansion in 1911 when the collections of HDS and Andover Theological Seminary were combined. The Library is part of the larger Harvard University library system, which is available to all faculty, staff, and students at HDS. In September 2001, the library completed a $12-million renovation that enhanced its technology facilities and improved its information systems. Andover-Harvard participates in the Boston Theological Institute library program, which extends borrowing privileges to all members of the HDS community at any of the other BTI libraries. Completed in 1911 at a cost of $300,000, Andover Hall was designed by Allen and Collens, a firm that focused largely on neo-medieval and ecclesiastical designs, and is the only building at Harvard built in the Collegiate Gothic style of architecture. Harvey Cox, Hollis Professor of Divinity emeritus, author of "The Secular City"
Karen King, Hollis Professor of Divinity, author of "What is Gnosticism?" and "The Gospel of Mary Magdala"
Charles G. Adams, Pastor, Hartford Memorial Baptist Church; Former President, Progressive National Baptist Convention, Inc.; William and Lucille Nickerson Professor of the Practice of Ethics and Ministry, Harvard Divinity School. George Bradburn, Unitarian preacher and abolitionist from Massachusetts. Moncure D. Conway, Unitarian preacher and abolitionist from Virginia. John Cranley, former congressional candidate in Ohio. Gary Dorrien, American social ethicist and theologian, Reinhold Niebuhr Professor of Social Ethics at Union Theological Seminary in the City of New York and Professor of Religion at Columbia University. Theodore Parker, prominent Unitarian and transcendentalist Unitarian minister, scholar, abolitionist and author of the line, "...the moral...arc of history...bends toward justice..."
Harvard Divinity Bulletin is an award-winning glossy magazine published by Harvard Divinity School two times per calendar year. The magazine features nonfiction essays, opinion pieces, poetry, and reviews about religion and its relationship with contemporary life, art, and culture. The magazine often publishes the text of each year's Ingersoll Lecture on Human Immortality. It is mailed to a subscriber base of more than 20,000; subscriptions are on a donation basis. Past contributors have included Reza Aslan, Martine Batchelor, Sarah Sentilles, and Christian Wiman. ^ Morison, Samuel Eliot (1964). Three Centuries of Harvard, 1636-1926. Cambridge, Mass. : Belknap Press of Harvard University Press. pp. 242–243. ISBN 9780674888913. Retrieved 7 January 2016. ^ a b c Dorrien, Gary (2001). The Making of American Liberal Theology (1st ed.). Louisville, Ky.: Westminster John Knox Press. p. 195. ISBN 9780664223540. Retrieved 7 January 2016. ^ Balmer, Randall (2001). The Encyclopedia of Evangelicalism (1st ed.). Louisville, KY: Westminster John Knox Press. p. 393. ISBN 9780664224097. Retrieved 7 January 2016. ^ Field, Peter S. (2003). Ralph Waldo Emerson: The Making of a Democratic Intellectual. Lewiston, NY: Rowman & Littlefield. ISBN 9780847688425. Retrieved 7 January 2016. 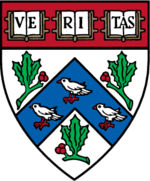 ^ "Member Schools: Harvard University Divinity School". Association of Theological Schools in the United States and Canada. Archived from the original on 28 August 2012. Retrieved 2 October 2009. ^ "Charles Stang Named Director of Center for the Study of World Religions". hds.harvard.edu. Retrieved 2017-05-30. ^ a b "Harvard Divinity School at the Turn of the Last Century: Building Andover Hall". Andover-Harvard Library. 2005. Retrieved 2009-03-06. ^ "HDS - Alumni Relations - Katzenstein Award Recipients". Harvard Divinity School. Retrieved 17 May 2010. ^ "WEDDINGS; Vanessa Southern, Rohit Menezes". The New York Times. 2 May 1999. Retrieved 2011-07-31. ^ "Summit Unitarians support reproductive-health spending". Independent Press. June 14, 2011. Retrieved 2011-07-31. ^ "HOLLIS catalog record for The Nave". Harvard Library. Retrieved 19 December 2018. Wikimedia Commons has media related to Harvard Divinity School.